My Review: This book is advertised as a number one national bestseller. 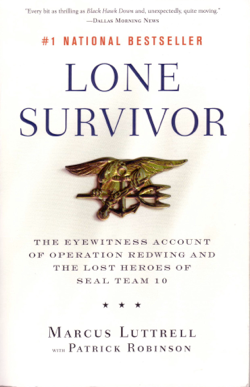 It is “the eyewitness account of Operation Redwing and the lost heroes of SEAL Team 10.” The story is told by Marcus Luttrell, the lone survivor of that operation. At the beginning of the book, Luttrell spends a lot of time boasting about being a Navy SEAL and damning the “liberal press”, the Geneva Accords and the Rules of Engagement. As a moderate liberal and a supporter of the Accords and Rules of Engagement, I tried to keep an open mind until I could see where this story was going. Soon Luttrell got into a long description of SEAL training. SEAL training is incredibly difficult. 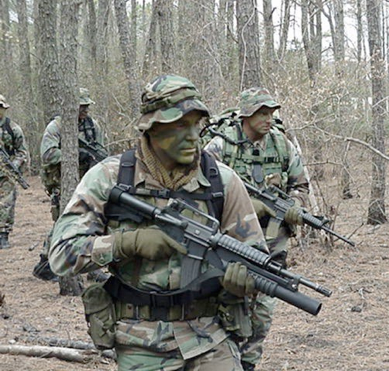 The dropout rate during training is very high; it ran about 60% in Luttrell’s group. Only the most physically able and highly motivated can make it. Luttrell does make it and is soon shipped off to Afghanistan. After a number of missions, he and three others are selected for a highly dangerous mission high in the mountains of the Hindu Kush. They are to covertly approach and observe a tribal village, looking for a Taliban leader named Sharmak (not his real name). Luttrell’s job, as a skilled sniper, was to get close enough to kill Sharmak. His sniper’s rifle was accurate up to a quarter mile away. Still, with little cover high in the mountains, getting that close would be difficult. The story really hinges on a moral dilemma faced by the four men when three goat herders, two adult men and a boy, stumble into them as they approached the target village. The Rules of Engagement and the Geneva Accords forbid the killing of non-combatant civilians. But were these three truly non-combatants? 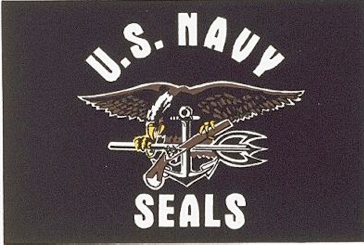 If the SEALs let them go, would they run to the Taliban with the information that four Americans were in their mountains? The four men discuss what should be done with the three. Should they kill them and hide their bodies? Or should they let them go? This was not an easy decision. Sitting safe in my armchair it is easy to say they must let the herders go. It’s not right to coldly kill people who may be totally innocent. But these men were surrounded by Taliban who hated Americans and the very idea that they might be in these mountains. Marcus takes us through the debate between what is right tactically (kill them), what the Rules of Engagement direct them to do (protect non-combatants) and what their own religious beliefs tell them to do (let them go). They had no way to detain them, and detained or dead, they would soon be missed and a search initiated. In the end they vote; one says kill them, one abstains and two, including Marcus vote to let them go, which is what they do. All of the events that follow, including the deaths of Luttrell’s teammates and those in a rescue helicopter that is shot down in trying to rescue them, flow from this one fateful decision. The goat herders did indeed report directly to the Teliban, who immediately started to hunt for the team. When the fight began, the odds were about twenty-five to one. The story of Luttrell’s fight for survival, the deaths of his comrades, his protection in an Afghan village and his eventual rescue are the stuff of an action adventure thriller, which I’m sure this will be someday. In the end, I came to respect Marcus Luttrell and his compatriots. I don’t understand the drive to become a warrior, a person trained to kill people and break things. It saddens me to know that we need people like Marcus Luttrell in this world, but we do. And I’m grateful that he and his SEAL brothers are on the job. I came to understand that Marcus’s ranting about the liberal press, the Geneva Accords and the Rules of Engagement all come from that moment of decision when a morally appropriate choice caused the deaths of so many American soldiers. It’s a decision he now regrets. And he rants about these issues because in his world of right and wrong, good and evil, black and white, the rules that guide his behavior in war are often shaded in gray. Either decision made that fateful day in the Afghan mountains would have been moral or immoral depending on who was looking and what their point of view was. It appears that Marcus Luttrell will be tortured by the decision he made forever. But, had the decision been made to kill the goat herders, he might also be tortured by the memory of coldly killing two men and a boy high on that mountain in Afghanistan. And in the end, the result might have been the same. All-in-all, the book is a good read and I recommend it.